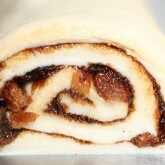 Sticky, gooey, warm and fresh…what’s not to like! They are sticky and delicious and they are best when warm and fresh. In Holland we have something called ‘Zeeuwse Bolussen’ made in the province of Zeeland. They are very similar to these cinnamon buns. You can also keep them in the freezer after they’ve cooled. You can stick them in the microwave for a minute to defrost and get them back to their natural warm and gooey state. Dissolve the fresh yeast in the lukewarm water and let stand for 5 minutes (instant yeast can be added directly to the flour). Make sure the rest of your ingredients are at room temperature. Combine the butter, sugar, milk and salt. Blend in the beaten egg. Now add the dissolved yeast. Add flour until your batter is smooth and soft, but not sticky. Knead well for 15 minutes by hand or for 8 minutes with a KitchenAid type mixer. Cover the dough and let rest in a warm place for 60 minutes. 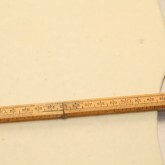 Roll out into a rectangle of 50 x 30 cm. Slightly Warm the topping ingredients in a pan until the butter is dissolved and you have a spreadable mass. Spread the rectangle evenly with the topping. You can do this with a pallet knife or, if preferred, with a brush. At this point you can also add the raisins. You can also reserve some topping to brush over the buns after you cut them and place them in the baking pan. This way they will be extra sticky. Now roll op the rectangle. 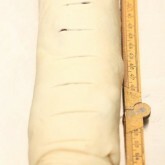 Cut the roll into 2,5 cm / one inch thick slices. Place them in a pan (approx 20 x 30 cm). Let proof for 45 to 60 minutes until well risen. Best baked at 190 ºC/ 375 ºF convection oven (slightly higher if using conventional setting) for 20 to 25 minutes (depending on your oven). Enjoy! I baked these and they turned out fantastic! Thanks for the recipe. However, when I weighed out 225g of sugar for the filling I was shocked by the amount, so I put in about half as much sugar and butter, and 3 times as much cinnamon. 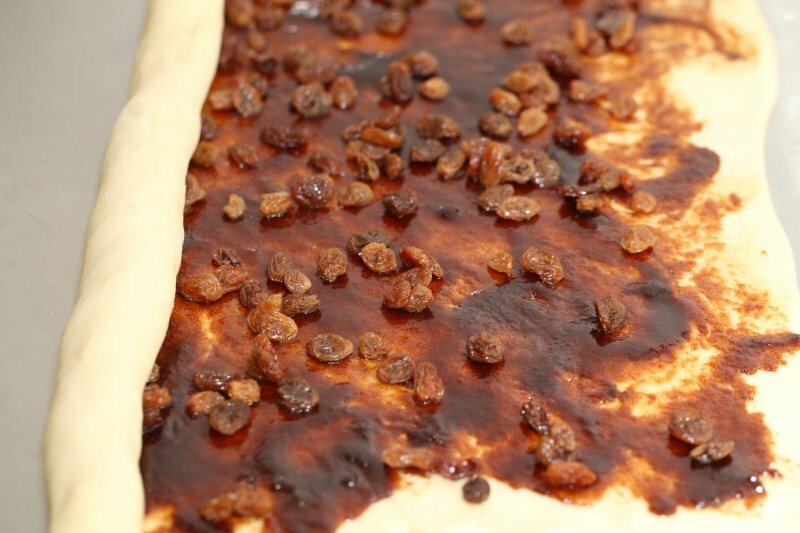 They turned out perfectly sweet and sticky enough, as the raisins also add sweetness. The next time I think I’ll put in even more cinnamon, though. We can understand your thoughts on the sugar, especially nowadays when we are supposed to use a little less. We love to spread some on the dough and also over the buns once in the pan for extra stickiness. Great to know you enjoyed the buns with halve the sugar! Kwestie van vragen denk ik ja, want lard oftewel reuzel is natuurlijk een product dat door de jongere generaties niet standaard meer gebruikt wordt. Erg goed recept,waren juist zoals op de foto.doet me denken aan de lardy cake(misschien een ideetje om eens te proberen) die ik vroeger soms maakte. Dank voor je heel aardige comment :). Wij hebben nog nooit lardy cake gemaakt, maar het wel eens voorbij zien komen bij bakprogramma’s op de BBC. Wij hebben ook nog nooit lard gebruikt, maar roomboter zal toch ook goed als vervanging kunnen dienen nemen we aan. En reuzel haal je dan waarschijnlijk bij de slager Hemi? I’ll be making these early early Saturday morning. My little grandchildren are coming to spend the day with me while their parents tackle some household landscape projects. I’ll send some of these buns home with my son and DIL. I know they’ll appreciate having these to, dare I say devour, when they take a break from their labor. Thanks for the recipe. Easy and I’m sure delicious. Hope they turned out as planned and sustained the hard workers during their outdoor activities. Happy bun baking & sharing! No doubt that this recipe is more better and more normalized than the Sunday Cinnamon Buns Deluxe recipe. When you add eggs to any recipe you add something LIVE, so this recipe depends on less liquids for the concern of adding eggs and that’s something successful.. Yes, Zanzoona, egg also acts as a leavening agent and especially the yolk can make the crumb more tender. You can also add egg to the other recipes of course (just make it your own according to the structure of dough you like best). Absolutely right dear friends, eggs is a tremendous fabulous grace from God, it’s like a magic..
Wishing you health and happiness in the New Year and lots of baking pleasure of course! Thanks for the enthusiastic feedback. Love to read the recipe worked so well, even with the ‘mess up’. I love everything about your shop, website and posts! Thank you so much for this wonderful playground! I just made these! In fact, they are still in the oven! 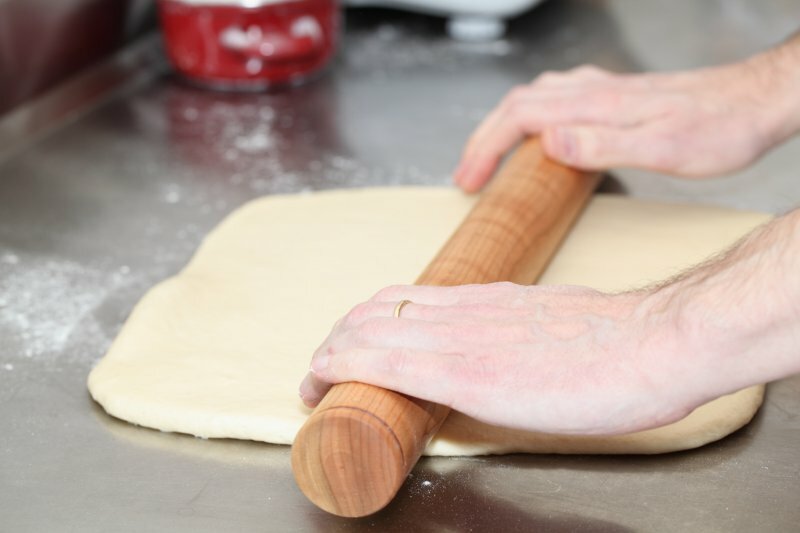 My dough is rather soft, not sticky, but soft compared to the pictures of your dough. I used American cake flour because the recipe called for fine flour. I just read one of your comments and am wondering if I should use bread flour instead next time. Would love to hear what your thoughts! To better answer your question can you tell us if this cake flour is just 100% flour or are there other ingredients in this product, like raising agents for example? We would suggest using all purpose flour for this recipe or possibly a mixture of all purpose and bread flour. Sorry for the late reply. The additives in the cake flour are a form of vitamins. But this cake flour is made from soft winter wheat and due to the lack of gluten it is not ideal to use for this recipe, because you do not want a cake-like structure but more of a soft white bread structure, so we would think your result would be the best using an unbleached all purpose flour with a protein content of around 11%. 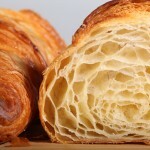 Not my post but…great explanation and information on the flour. I’ll remember that when baking other similar goodies. Thank you for the recipe, the whole family in New Zealand enjoy the bun! Thank you for your very kind comment, excellent! Greetings from Lausanne! We made these today and they turned out amazing!!!! It’s the first successful bun I have ever made, thank you so much sharing this recipe and for your wonderful website. I am currently preparing myself to make the San Francisco Sourdough…wish me luck! Hi Leanne, thank you very much for sharing your enthusiasm, that sounds wonderful! I’d like to partly prepare these the day before and bake them early the next morning. 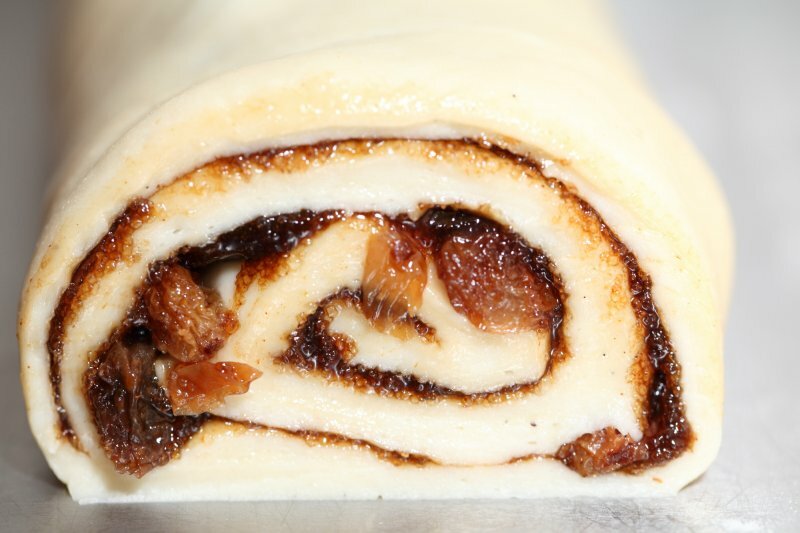 Do you think it would be fine to let the final proof (post-shaping and cutting) take place in the fridge, or is it best to use the method suggested on your page for Sunday morning cinnamon buns, i.e. 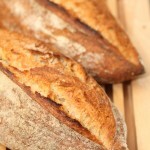 use less yeast and let the initial fermentation take place at room temperature? Hi, we use the method as used in the Sunday morning buns as we never seem to have enough space in our fridge to store dough 🙂 When you store them in the fridge you have to use the full amount of yeast and perhaps give them a head start by final proofing for 30 minutes to an hour before putting the tray in the fridge. Success! I made these, and put them into the fridge overnight straight after rolling and cutting them. They rose beautifully overnight and were deliciously light and moist when I baked them the next morning. Thanks again for sharing Brigid, very helpful! 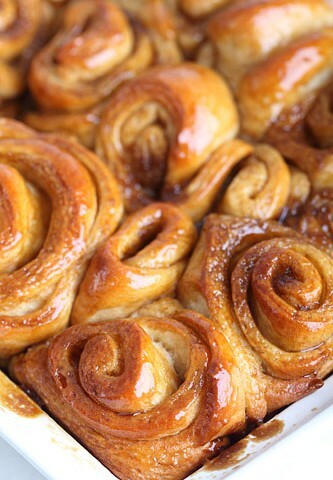 The cinnamon buns look super yummy. Just a quick question, does this dough freeze well? Thank you! We never freeze the dough of this recipe, we always freeze the buns after baking and give them a quick tour on high wattage in the microwave, which works excellent and makes them warm and fluffy again. Is dit hetzelfde recept als eerst op jullie website stond, maar dan in het Nederlands? Wel jammer dat dat recept ineens weg is..
Er volgen er nog meer de komende tijd maar het is natuurlijk wat werk om dingen tweetalig te doen. Allereerst… HAPPY NEWYEAR! heel veel creativiteit toegewenst voor 2013. Ik heb gisteren deze kaneelbroodjes gemaakt en ze zijn weer geweldig. Ik heb ze maar snel in de vriezer gedaan, anders komt er van mijn goede voornemens nu al niets meer terecht. Ik had een stukje van de rol deeg over en die heb ik, in 2,5cm plakken, in een ingevette muffinvorm gedaan en zo afgebakken, in plaats van tegen elkaar in een groot blik. En ook die waren heerlijk. Happy New Year with lots of wonderful baking moments Richina! Dank je wel voor de tip van de muffinvorm, dat ga ik binnenkort ook eens proberen. You inspire us with the many creative twists on this recipe Jan! We have to try them too of course. Thanks for sharing and keep up the fantastic baking! 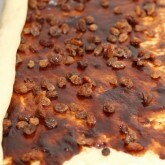 The instructions say to warm the topping ingredients in a pan until dissolved and then spread it on the dough. Then in your answer to Gingi’s question about the glaze on top, you said you brushed leftover topping over the buns before you put them in the oven. That sounds like the topping is a liquid. It also sounds easy. I warmed the topping until it was as near a liquid as it would get, with the butter melted but the sugar not so much dissolved as suspended in the butter so that it was about like the gloppy, gritty lava they show oozing out of the volcanoes in Hawaii. I was afraid to dissolve the sugar completely because you don’t call it a syrup. Even so, it was hot enough that it burned my finger, so I put the pan in a sink full of cold water to cool off a bit before spreading it on the dough. When I tried to spread it on the dough it did the same thing the lava does just a few seconds out of the ground: it became much less liquid and refused to cooperate with my efforts to spread it around on the dough. The best I could do was to dot the dough with little dollops of the topping until that became so tedious that I just dumped the last bit out and figured the dough and the topping could fight it out in the oven. What did I do wrong? As I was trying to get the topping to spread around, it occurred to me that it would have been a whole lot easier if the topping had been crumbly instead of liquid: I could just have sprinkled it over the dough and ended up with a lot more uniform covering than what I got with the very uncooperative sugar lava. I know none of this will keep the buns from being delicious, and I don’t much care what stuff looks like anyway; but I like to follow instructions the first time I try something, and I must have done something wrong here. I have never made anything like this before, so I have no prior experience with how it should be done. Sorry to hear about your struggles with the topping. I think I am also to blame here, because of the word dissolved and what it could mean. I start the sentence with ‘slightly warm the ingredients’ but it ends with ‘dissolved’, from which you could deduce that the sugar has to be completely dissolved, but that is not the case. It was more to indicate you should melt the butter rather than the sugar, but that was not totally clear. So, you just make sure the butter, together with the dark brown sugar (it is the soft very dark sugar sometimes also called muscovado I believe, that we use) and the cinnamon are forming a homogenous spreadable paste. This way there is no need for oozing, burning or cooling it in cold water. Hope this helps and I want to thank you for pointing this out. I will try to adjust the recipe instructions to make it more clear. Thanks, Marieke. I’m glad I had trouble with the topping, because it gives me an opportunity to learn something. Calling it a spreadable paste helps a lot. I’ll experiment and see what gives me that. What I had would have been spreadable if I had been trying to spread it on something hard like a toasted baguette, but the dough was so very soft that the topping just pulled the dough along as I tried to spread it. 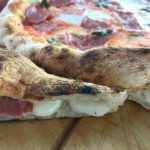 Now that I know what the dough is like and that I need something that I can spread on it easily, it shouldn’t be hard to get it right. I had never heard of muscovado, so I read about it. Evidently it’s unrefined sugar that has been boiled down but not had the molasses removed, as opposed to regular brown sugar (what’s called brown sugar here, anyway), which is refined white sugar with molasses added back into it. It’s called either dark brown or light brown sugar depending on how much molasses is added, but even our dark brown sugar is nowhere near as dark as muscovado. It’s interesting having to work out the differences in ingredients that share the same name but are different in different parts of the world. I don’t think muscovado is readily available here, but the Wikipedia article says it can be substituted for ordinary brown sugar if you reduce the liquid in the recipe. That means I could substitute ordinary brown sugar for muscovado by increasing the liquid, which sounds right. If my glop had had a lot more melted butter in it, I think it would have been a lot easier to spread. I’ll just keep adding butter until it spreads easily. My buns don’t look much like yours (well… they really don’t look anything like yours), but they taste fantastic – so good that I don’t mind experimenting several more times to get the topping right. Fortunately, I don’t care how fat I get as long as I’m having fun doing it. I’ve lived long enough already; I’m going to enjoy however much time I have left instead of letting doctors and nutritionists ruin it. I think what I need is about a 1:1 ratio of sugar to butter. I did a little experiment, starting with 20 g of butter melted in a teacup and adding brown sugar to it until it had enough sugar in it to taste but was still easy to spread. When I got to equal weights, it looked more like sugar with some butter in it than the other way around, but I could still spread it easily as long as I kept stirring it; if I let it sit for even just a few seconds, the sugar settles to the bottom and gets lava-like, beneath a layer of melted butter. Maybe muscovado mixes better with butter than this brown sugar does, but it’s all I have. But I think I could keep it stirred, spreading a little bit at a time, and cover the dough just fine. Even I won’t make another batch tonight, but once I do I’ll come back here and say how it worked out. I was looking at the beautiful picture of your beautiful cinnamon buns again, and I can’t actually see a layer of brown coiled up inside the dough. 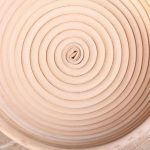 Mine could be described as either coils of dough with thick brown stuff inside or coils of thick brown stuff with dough wrapped around it. I guess that means that the layer of topping in yours really is very thin on the dough before you roll it up, and when it bakes most of it must sink down to the lower part of the roll where I can’t see it. Pictures help a lot. Oh. I just checked my experiment again, and now that the butter has cooled somewhat the sugar stays suspended in it and doesn’t sink down into a thick mass at the bottom. As it is right now, I think I could spread it easily on the dough even without constant stirring. I think I could even do it with a pastry brush, which is what I assume you meant when you said you brushed it on top of the buns before baking. That would be great. Thanks. This is encouraging. Thank you Jim, for sharing all your experimenting and experiences with us, and also helping us to clarify our recipe in the process. And if the brushing is not working, maybe smearing it on with a pallet knife would be an alternative option. And very glad they are still tasty anyway! Hi weekend bakers, this looks amazing and I look forward to making this at some point soon. No offence, but is that just one tenth (1/10th) of a gram of dry yeast that add to make the poolish, and not one gram? Seems incredible. I do hope you mean a gram as I’m really worrying about taking a sachet of dry yeast (7g), separating this into 70 parts, of which I will use one. 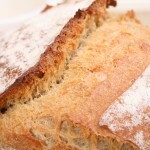 Oops, I meant to post the above to your ‘ciabatta-foccacia’ recipe page. Regarding the cinnamon bun page, it’s great that you enjoyed that episode too, and that you thought my version of cinnamon rolls looked great. Thanks! The aroma of freshly pounded cardamom, butter, sugar, and cinnamon baking away was indescribably appetising! I’ll post pictures on mine when I make it – likely to be over the next week or so. 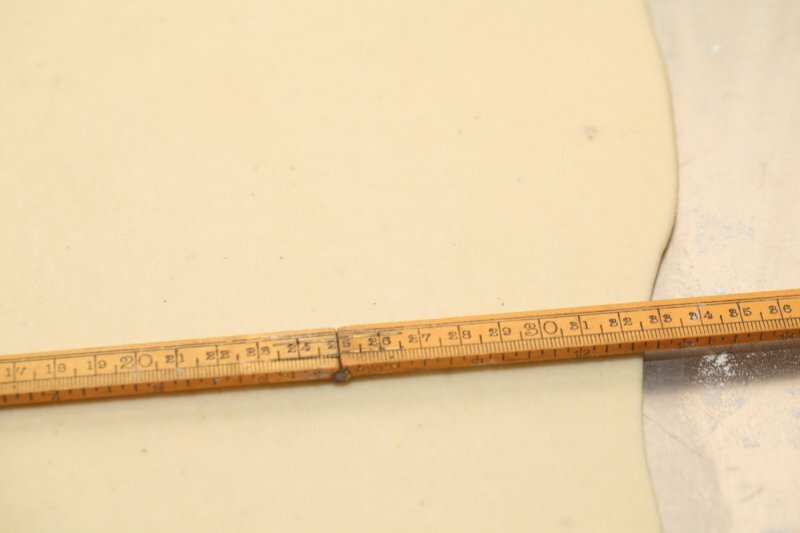 About the 0.1 gram in the poolish of the focaccia: Yes it is correct and that is why we also made the pictures to show you how small the amount really is (in case you do not have a precision scale). It is just a tiny heap in a 1/4 tsp. The recipe for the cinnamon knots uses much more sugar and butter than we did up till now in our recipe. I am curious to see how this one will turn out and how it compares. Happy knot and snur baking! 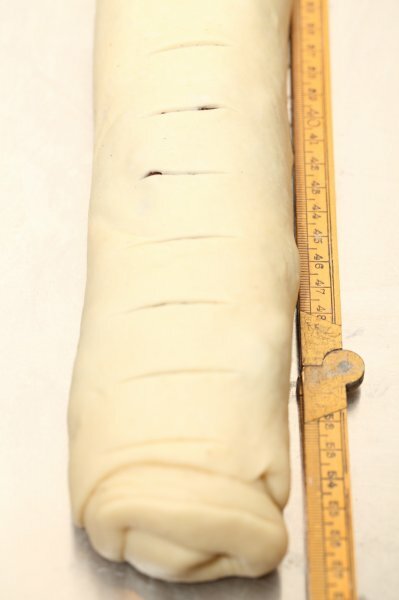 this looks amazing – identical to a Norwegian sweet yeast dough pastry called ‘skillingsboller’, it’s meant to be Bergen’s pride – it was showcased on an episode of the ‘Hairy Bakers’ (a cookery show on BBC) and it looked amazing. I managed to track down a recipe and tried it for the first time, and it turned out really well. I’ve posted it and photos on my blog under ‘fluffy cinnamon pastries’. The ones with the raisins where amazing too, I think I liked them even better, but the snurrer are so much fun to make. The breads of Åpent Bakeri are also very inspirational. I made a version folding in fresh herbs like thyme and some very nice sun blushed tomatoes using our ciabatta focaccia dough: www.weekendbakery.com/posts…-focaccia/ sprinkling the top only with fleur de sel and some oil. Very satisfying bake! Even ‘snuffelen’.. en weer zo’n lekker recept.. #stillwonderinghowyoubothcanbesoslim ;-).. Thanks! Still baking yourself? Of course we do not make and eat these buns ourselves every week. You don’t need to cream first, it will all come together just fine with the kneading. For this kneading you do need a dough hook yes! 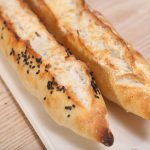 I use bread flour for this recipe and although different countries have different flour types I am sure for this recipe your bread flour will be fine too. It is always advisable to save a bit of milk or water until you see how your dough turns out so you can always add a bit more if needed. I have a question regarding the picture included in this recipe. It seems to me that there is a glaze that drips from this buns – a very nice and shiny glaze. However, I could not find anything that mentions layering any glaze -making ingredients on the buns. Please let me know… and thanks again ! What we did is very simply use some left over/held back topping and brush it over the buns before they went into the oven. It was Ed’s idea so the buns would turn out sticky inside and out. I think it works well and looks great also. Good idea to try it with sourdough. Haven’t done that myself but am very curious as to the result. Of course this means that the proving will take longer. First thought is to take a bit more culture to help the dough along. And the sourdough culture should not be to ‘sour’ imho to make for a good marriage with the cinnamon and sugar. We will post our results as soon as we have tried it. Also curious to know about your results!